Jumpsuit with attached headpiece and tail. 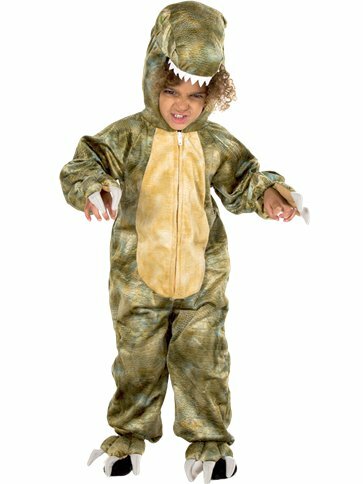 Transform your little monster into one of the most fearful predators that ever walk the earth with this fabulous but frightening T-Rex costume from our Animals and Insects collection. Included is a green all-in-one jumpsuit with scale like print detail, attached oversized padded head with soft jagged teeth detail and also features an attached oversized padded tail and claw feet shoe-covers.